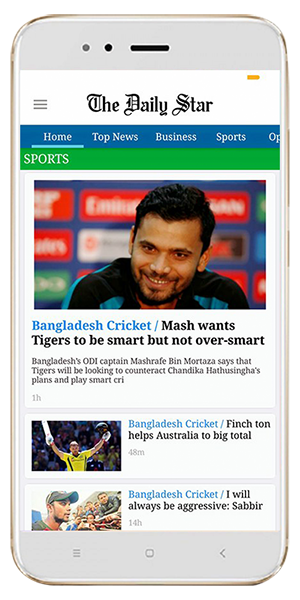 Get the latest, breaking, opinion, politics, lifestyle, entertainment, crime news from Bangladesh’s leading English newspaper The Daily Star and its online edition on your smartphone for free. This app brings instant PUSH notifications whenever and wherever a news breaks. Access to all content is free on mobile and tablet devices. Share your favourite content to social media, e.g., Facebook, Twitter, etc.